This is one of the easiest ways you can have a warm, delicious and cheep breakfast. 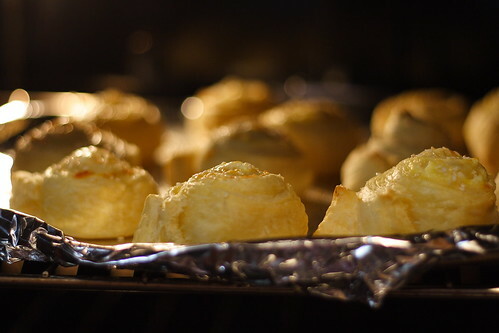 My kids just adore these rolls and I always keep a sheet of puff pastry in my freezer for the mornings I am in a hurry but want to feed them something delicious. 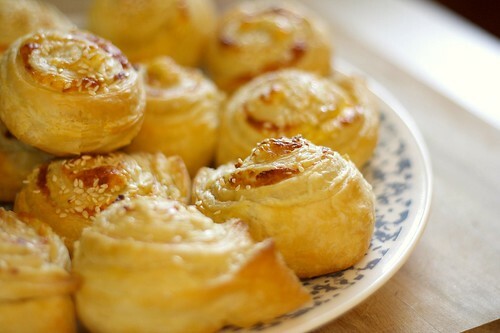 * Of course if you like homemade puff pastry, go ahead and make it yourself. In a large mixing bowl mix together the egg, the feta cheese and the cheddar. 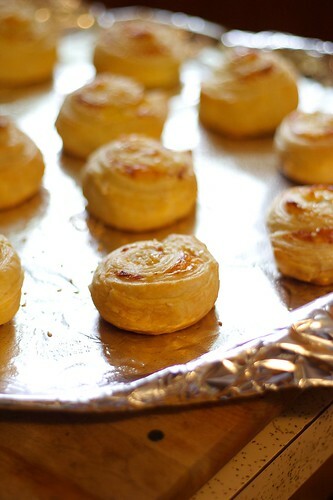 Take the 1st sheet puff pastry out of the box and spread half of the filling on top of it. Make it as even as possible, then roll the sheet inwards lengthwise. Now, I know that on the box of the puff pastry it states you are supposed to bake it on an UNgreased cookie sheet, but my experience have thought me that if you are not using parchment paper underneath, the dough will stick enough, so when you try to take it out, because it's very crispy and light, it will start falling apart in your hands. So, either lightly grease the cookie sheet, or place a piece of parchment paper underneath. With a very sharp kitchen knife cut 1 inch thick rolls. 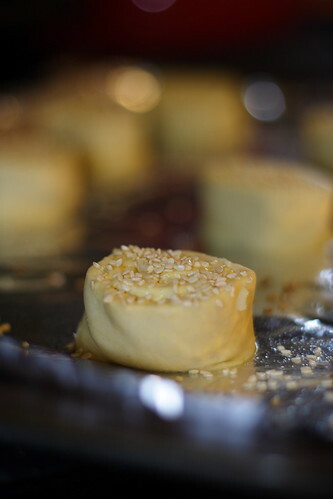 Place on the cookie sheet, sprinkle with sesame and bake 15 min ( or until golden on top) on 375F.